As the United States of America and the global community salutes, recognizes and commemorates the 88th birthday of The Reverend Dr. Martin Luther King, Jr., it is a providential time to reassess the meaning and challenges of Dr. King’s legacy for Black America in this year of profound change, anxiety, and hope. As we witness the transfer of presidential power from President Barack H. Obama to President Donald J. Trump, it is quite appropriate to apply some the long-lasting and enduring tenets of Martin Luther King’s leadership, teachings, and perspectives. Dr. King and the Southern Christian Leadership Conference (SCLC) prophetically stood strong for freedom, justice, and equality for Black Americans and for all people who cried out for a better quality of life throughout the world. Dr. King was more than one of the greatest orators and preachers of the 20th century. He was one of the most effective intellectual theologians whose moral genius and courage helped irreversibly to change the course of American history for civil and human rights. No man or woman is perfect. Yet Dr. King’s leadership inspired and motivated millions of Black Americans and others to strive toward the perfection equal justice for all through nonviolent social change and transformation. As a young teenage staff worker for SCLC in North Carolina in the early 1960s, I witnessed firsthand how Martin Luther King, Jr. would stir the consciousness of the masses. We overcame the fear of standing up for righteousness in the presence of evil powers and unjust systems of oppression and suppression. This is the reason we are determined to maintain and to sustain the viability of the Black Press of America as the truthful, accurate, and trusted voice of Black America. This year marks the 190th year of the Black Press in the United States. During the height of the Civil Rights Movement led by Dr. King and other leaders, the mainstream press would often attempt to undermine the legitimacy and purpose of the movement for change. But the Black Press always chronicled the news of freedom movement with strategic visibility and editorial support. In Dr. King’s last address in Memphis, Tennessee on the night before his assassination on April 4, 1968, he made statements that still apply and endure today in 2017. Dr. King emphasized that when society appears polarized and deeply divided, we must strive to overcome divisiveness and hopelessness. Thus, what may appear to some to be a “dark” hour is in fact a God-given time to reassert that justice and freedom are still possible and very probable if we unify, organize, mobilize, and speak truth to power. We cannot afford to engage in the cynicism that is now popular. Martin Luther King, Jr.’s living legacy beacons us to not give in to hopelessness and self-defeatism. We have had difficult times before and each generation is called to stand up with the principles, values, and commitments that we have inherited from so many of our sisters and brothers who sacrificed for us to be where we are today. King stated, “Now, what does all of this mean in this great period of history? It means that we’ve got to stay together. We’ve got to stay together and maintain unity.” While race is still a defining factor in American society, we must not allow racial discrimination or racism in any form to divide us or to prevent us from moving forward as families and communities steadfast in our unified actions to improve our quality of life. Black America will overcome. We have come too far to stand still or go backwards. 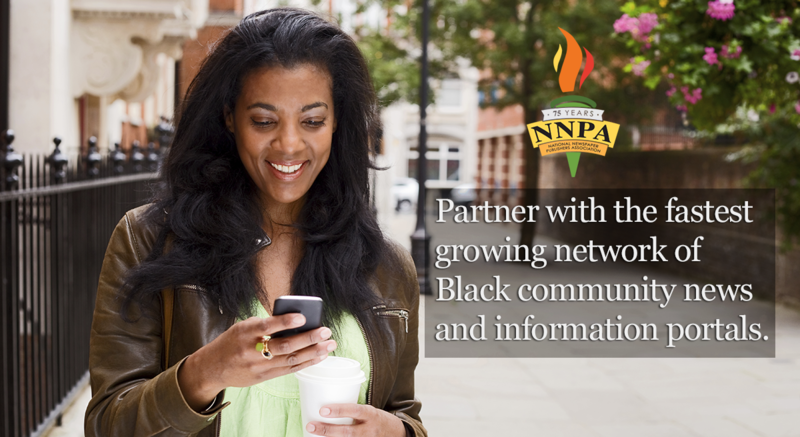 Dr. Benjamin F. Chavis, Jr. is President and CEO of the National Newspaper Publishers Association (NNPA) and can be reached at dr.bchavis@nnpa.org. Follow Dr. Chavis on Twitter @drbenchavis. ‘When Was America Ever Great,’ You Ask? Here’s My Answer.